Is Justin Bieber a quadruple threat? Justin Bieber has just entered yet another artistic medium and can confidently call himself a quadruple threat (quintuple if you count his ability to make teenage girls scream). 4.) Apparently he writes now, too. Just a few days ago, First Step 2 Forever: My Story, hit the shelves. The 16-year-old hair flipping, multiplatinum artist has officially published his first memoir. Yes, a memoir…written by a16-year-old. A memoir?! Written by a 16-year-old?! At this present moment, I can judge it too harshly because I haven’t read it. However, based off of the dramatic reading of the text hosted by MTV, the book is everything one might expect it to be: J-Biebs discussing girls and how lucky he is to have achieved such sudden fame. 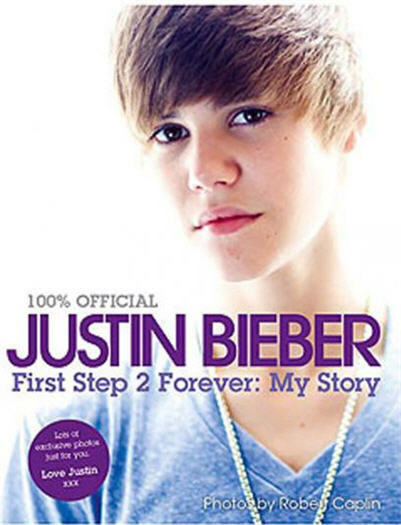 Tags: Books, CSI, First Step 2 Forever, Justin Bieber, Memoir, Music, Reading. Bookmark the permalink.